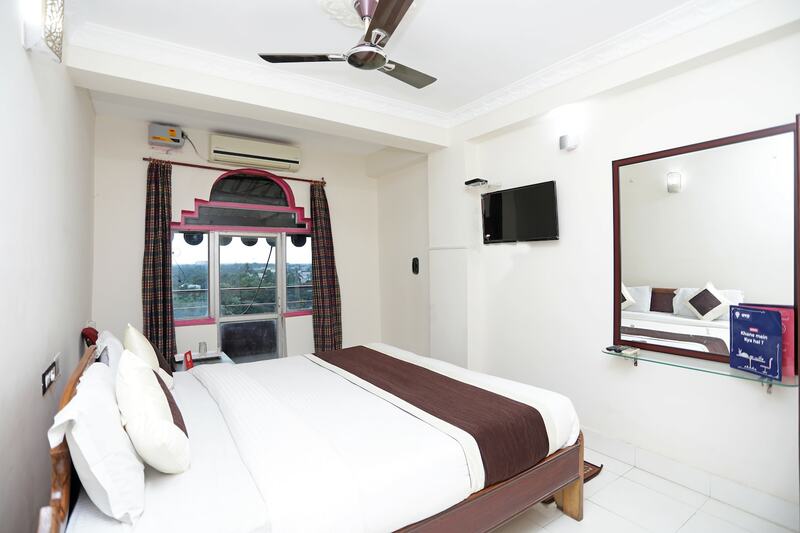 Offering comfort and great services at budget rates, OYO 11631 Star Inn in Bhubaneswar is an ideal lodging for travelers touring the city. The OYO is maintained with a skilled and friendly staff to ensure you have a good stay. Our rooms are tastefully furnished and offer amenities like AC, TV, Complimentary Breakfast and a lot more. Explore Bhubaneswar and visit the famous landmarks and attractions such as Iskcon Temple, Odisha State Museum and Rajarani Temple among others. Need cash? There is HDFC Bank ATM, UCO Bank ATM and Union Bank of India ATM nearby this property.